Immaculate 2 story home w/ 3 bedrooms plus a den, a craft room plus a huge loft area. 2 full bathrooms (one on main floor and one for upper level). The home offers spacious dining room, living room, kitchen w/easy laundry access and 2 car garage w/ bonus workshop! Partial basement /entry from outside. There is access to upper level and storage above garage by exterior stairs. 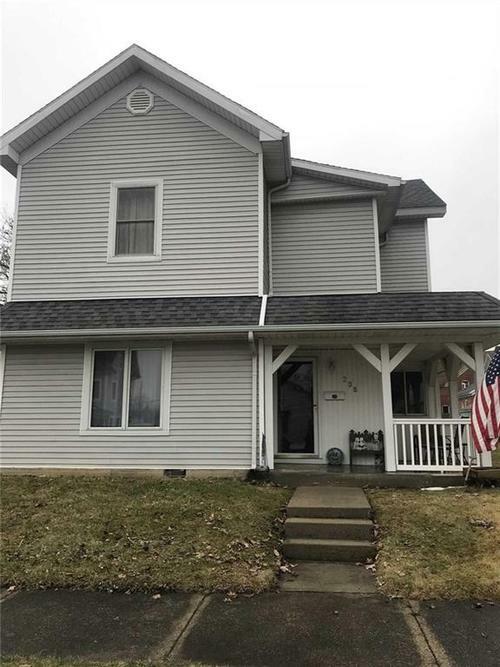 Super insulated, low maintenance vinyl siding, newer roof, newer CA & GFA heating, double pane windows, Gas Range, Refrigerator and so much more! Must see this gorgeous home in move in condition!